The well-known America satellite radio company, SIRIUS XM has announced the upcoming availability of its new simple to install, set up as well as user-friendly satellite radio for vehicle, named as SIRIUS XM Snap!, which offers all channels currently available on XM. The XM Snap! must be plugged into your vehicle’s cigarette lighter or power adapter socket to get the power, just as what you see in the photo. Then connect the antenna to bring sat radio to an existing FM-capable car radio system. The new stylish SIRIUS XM Snap! 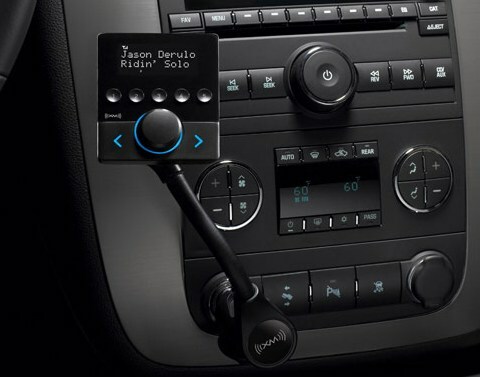 that comes bundled with a Magnetic Mount Antenna and an Aux-In Cable to facilitate Aux-In connections is expected to be available this month for around $60.